This easy and versatile lemon garlic marinade is ideal for grilling or broiling meat and vegetable kabobs any time of the year. It’s a simple fact: meat on a stick is more fun to eat than meat off of a stick. Am I right? If you love making kabobs but never think to make them or always forget to soak the dang wooden skewers hours in advance, I’d like to introduce you to my favorite stainless steel flexible grilling skewers. My mom gave them to me for Christmas many years ago and they just make dinner time more fun, end of story. No soaking required, just chop up whatever meat and vegetables you have on hand and get to skewering! This simple yet flavorful lemon garlic marinade is my go-to weeknight marinade and it will soon become yours. Lemon juice is a natural meat tenderizer and fresh, raw garlic gives all of those boring vegetables and boneless chicken breasts a one-way ticket to Flavortown. We happened to have peppers and onions on hand but zucchini, eggplant or portobello mushrooms would work well too. The options are endless. Place cubed chicken, bell peppers and onion chunks into one large bowl and set aside. In a small bowl, whisk together marinade: lemon juice through chili flakes. Drizzle marinade over the chicken and vegetables. Toss to coat. Let chicken and vegetables marinade for 20 minutes or room temperature or refrigerated for 30 minutes or up to overnight. 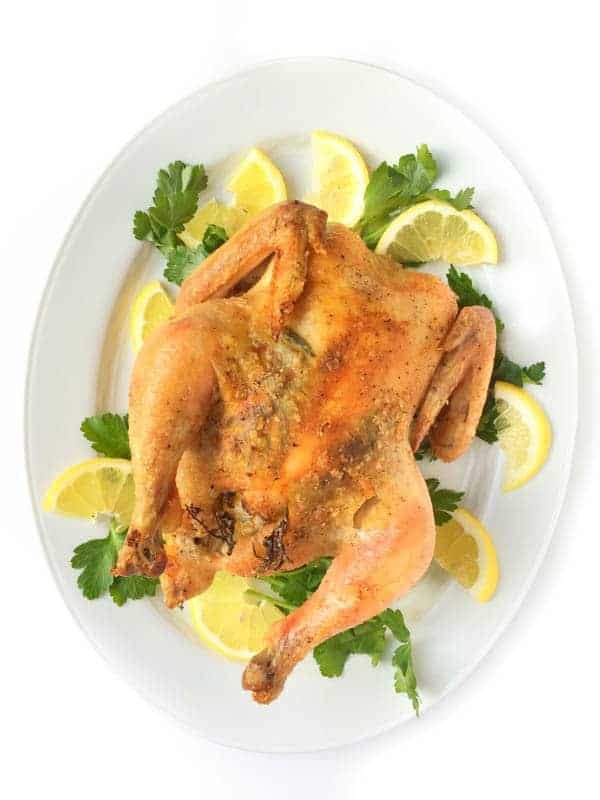 Grill 2-3 minutes per side, rotating four times, or until chicken is cooked through and vegetables are tender. Check out these other awesome Grilling Recipes on Pinterest! Follow The Lemon Bowl | Liz Della Croce’s board Grilling Recipes on Pinterest. 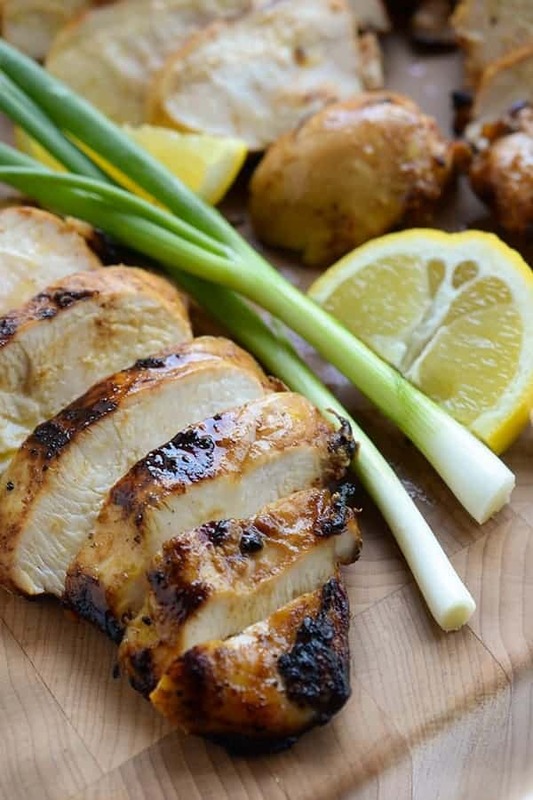 This versatile lemon garlic marinade with vegetables and grilled chicken looks so delicious. Already feeling hungry! These look so simple and good, just what I want to eat for dinner!! This is how you celebrate Labor Day – behind a grill with some awesome kabobs!! How long would you cook these under the broiler in the oven? How far away? Looks amazing. Love the marinade ingredients. You can do these under the broiler for about 4-5 minutes per side, about 6 inches from the broiler! I 200% agree – meat on a stick is just a woooorld of fun! I’m loving this lemon-garlic marinade you’ve got going on! Bring on the kebobs! haha Meat on the stick is the best! !